The Rockets took care of business Friday night against the Toronto Raptors, beating them 114-105. 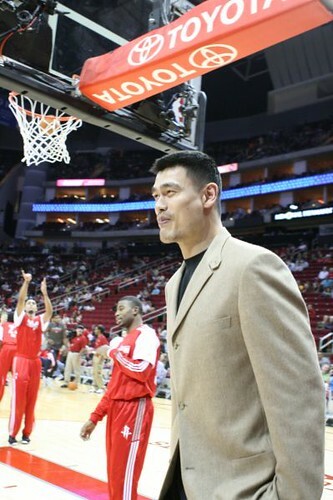 But for Yao Ming fans, they had to be just as excited (if not more) to see Yao’s baby girl Amy at the game, her first public appearance we know about. 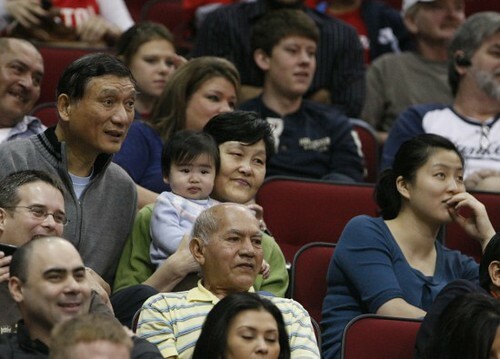 In the stands Friday night were Yao’s parents, baby Amy, and Yao’s wife Ye Li. Click here for more photos of baby Amy at the game. This entry was posted on Friday, December 31st, 2010 at 11:18 pm	and is filed under Family & Marriage. You can follow any responses to this entry through the RSS 2.0 feed.